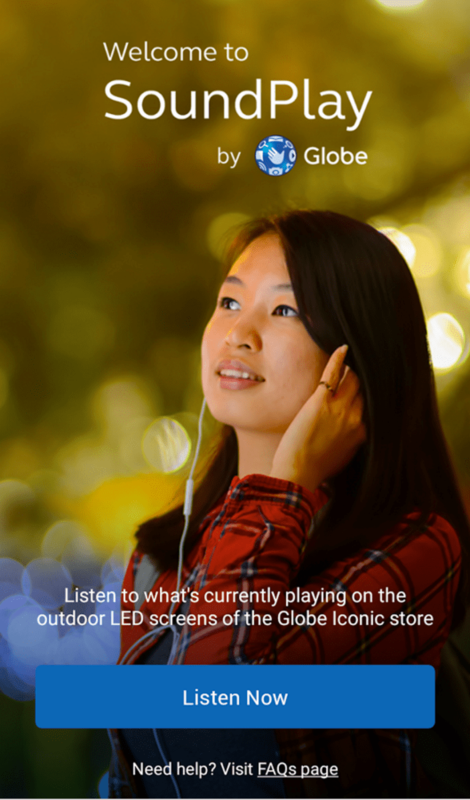 Experience wireless audio streaming through Globe Soundplay app and Interactive LED Omega Claw game in the new Globe ICONIC Store‘s Entertainment Zone. Aside from being the ideal entertainment venue for events, the two massive Times Square-like LED walls provide live video feed and on-ground entertainment. Informative and engaging videos such as short clips by Globe Studios and lifestyle ambient visuals are showed daily. Every 7:30 P.M., people are also treated to a lights and sounds show. From 5:00 p.m. to 10:00 p.m., the ICONIC store transforms into a carnival wonderland with the Omega Claw game which uses augmented reality and face detection technology to capture the faces of anyone near the venue through live feed cameras. 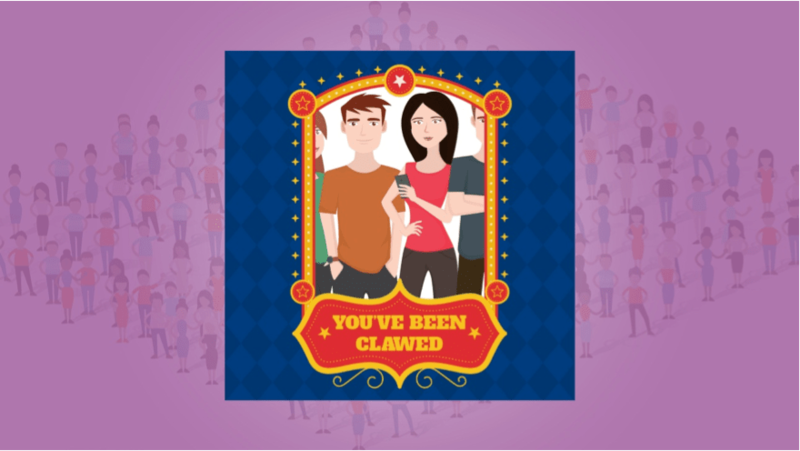 The pictures are then posted in the country’s largest interactive outdoor LED billboard with the tagline “You’ve been clawed.” People are encouraged to pose for the camera as they are seen by spectators around. This fun, unique and interactive technology will be refreshed regularly to give BGC Central Amphitheatre visitors something to look forward to. Anyone who is within the area of the Globe ICONIC Store can, likewise, connect to the Globe ICONIC WiFi service to experience ultra-fast Internet connection speeds of up to 100 Mbps. 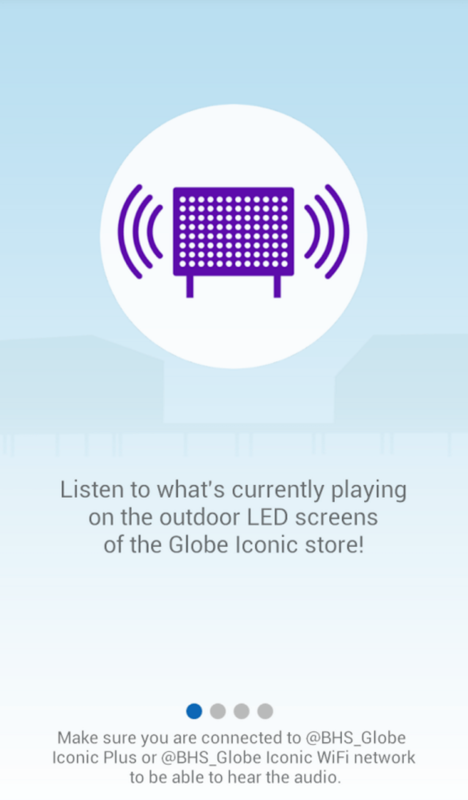 They can also listen to the audio of the videos being played on the outdoor LED screens through Globe Soundplay App, an audio streaming app that lets you listen to the videos playing in the ICONIC store through your own smartphone. 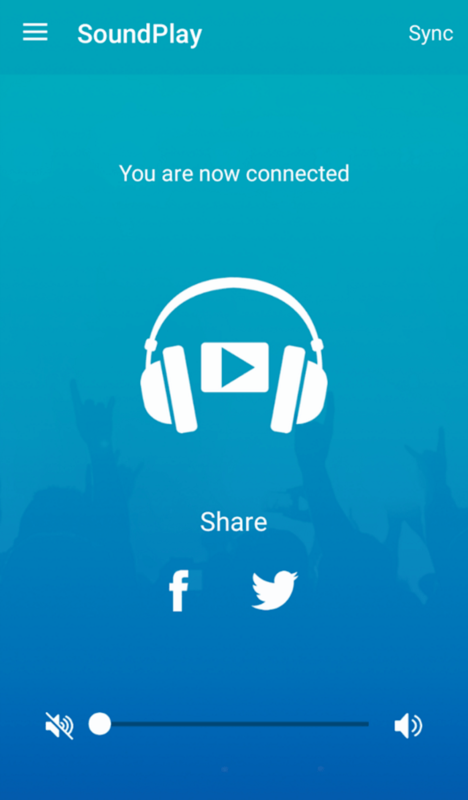 When connected to the Globe ICONIC WiFi, just open the app to stream high-quality real-time audio right from your smartphone. This innovation lets you avoid unnecessary noise pollution within the area, allowing you to privately listen to the Globe Iconic outdoor LED screens’ video contents. “The ICONIC store is set to be a premiere venue that will once again change the retail experience with multi-faceted store built to house the latest trends and live entertainment. Customers can experience our latest products interactively, explore new content with our upcoming chroma studio and museum. And outdoors, we continue interaction with our customers through features and activities like Globe SoundPlay and Omega Claw, truly making the ICONIC store a one-of-a-kind venue in the Philippines.” says Globe Stores and Retail Transformation Head, Joe Caliro. Phase 2 will feature the complete Globe ICONIC Store with a glass bridge that connects two stores on both ends. Also within the store, is a chroma studio for recording and shooting videos that partners and customers can use, view and enjoy. The ICONIC store is set to open by the end of the year. Visit the Globe ICONIC store at BGC Central to experience the Globe Soundplay App and Omega Claw game. Next story Fighting, Eating, and Falling in Love…with a GHOST!